Linseed Oil and Flaxseed Oil. Differences Between Oils, Many Uses, Flaxseed Oil Health Benefits, Nutritional Value, Side Effects. Ask someone today, what is linseed oil used for or what is flaxseed oil used for? Most people will not know to be sure, but they probably will know many products that are made from each of them. Both linseed oil and flaxseed oil come from the same type of seed, but the way they are treated for usage makes them very different. Here are some basic and useful information about these natural oils and their wide range of applications, some might be familiar. Linseed oil is extracted by putting dried flax plant seeds through compression and through this process is linseed oil or flaxseed oil are produced. The seeds must be ripened before being dried before beginning the compression process, but each oil comes from this similar beginnings. Each one also uses only the simplest single ingredient, the seeds of the flax plant. These are the only ingredient that is then transformed into their modern versions of natural oils by modern science for uses in both business and industry today. Although linseed oil is sometimes referred to as flaxseed oil and the two terms are often used to refer to both of these oils interchangeably, but this is a mistake. It is these traditionally misunderstood and inaccurate word usage that fails to accurately define the meaning or terminology of either one. So it is that many people have been misunderstanding the uses of these two natural oils and their industrial usages for sometime now. Making these two oils and their definitions clear, is necessary to understand what they are each used for from a modern perspective. The worldwide production of linseed oil and flaxseed oil are as profitable for modern industry, as they are practical and useful as well. There is a wonderful history of how both of these oils has become used commonly throughout the world, but for very differently applied uses in contrast. There are also a multitude of products that these oils are essential for the creation of today and have been for many centuries before now. Within the last few hundred years have the full potentials from these oils been realized, but they are only beginning to be understood for their possible applications in the future by science. The main difference between linseed oil and flaxseed oil is defined by the method of extraction used processing the seed oils. There are two versions of the pressing processes one by using heat and the other by using cold temperatures during the solvent extraction of the seed oils. Heat and treatment with chemicals is used to produce linseed oil. 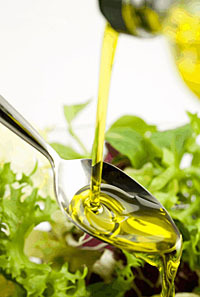 Unprocessed, raw or what is called cold pressed linseed oil, is what traditionally is known as flaxseed oil. Because of the heating process used linseed oil is not safe to be eaten, while flaxseed oil can be consumed and is used as a natural supplement for dieting. Most people can distinguish these two oils based on their coloring visually. Linseed oil is usually a dark amber color. It is also has a very distinct odor when smelled. 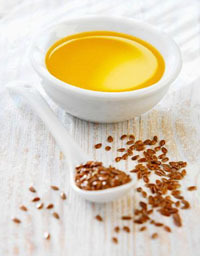 Flaxseed oil is generally gold in color. In contrast, it is nearly devoid of taste or smell. If unsure, it is best to go by this visual distinction and be cautious not to ingest either one unnecessarily. Besides standard linseed oil and flaxseed oil, there are two popularly modified versions of linseed oil that are made through the use of different heating processes to alter them chemically. These processes are still being explored by modern scientists to hopefully discover any number of new applications for these oils in the near future. Stand oil is made by putting linseed oil at higher heat of up to 300 degrees for several days. By doing so, the linseed oil is transformed into an oil with much greater viscosity. This altered version of linseed oil also creates a less yellowed look when used for coating other materials. Boiled linseed oil is created by a heating process that causes the oil to oxidize and polymerize. This process makes the linseed oil considerably thicker and makes drying time much shorter, so this is used for things involving the finishing and preservation of organic wood materials. There are a wide variety of general uses for linseed oil in modern business and industry today. Most uses for linseed oil exploit the properties that make it dry more quickly or the ability to make it into a pliable compound. It also makes a variety of industrial lubricants that are useful for any number of applications. The most popular uses for linseed oil include putty, sealants, wood finishes, polishes, varnishes, oil paints, and caulking compounds. Linseed oil makes a fine oil for the treatment of leather products. It is a lubricant for bicycle maintenance, a threading fixative and an all over rust inhibitor. It is used in the textile industry and most commonly to make oil cloths. It is also widely used in the manufacturing of linoleum and raw linseed oil is used as a coating for bats in the game of Cricket. There are two very simple things to keep in mind about linseed oil and flaxseed oil products of all types. All products made with linseed oil are all considered unsafe for ingestion and human consumption and all products made with flaxseed oil are safe for human consumption by humans. It is that simple. As a fatty acid linseed oil is unique. It is not only a triglyceride like similar fatty oils, but also contains unusually high levels of unsaturated α-linolenic acid which contribute to linseed oil being extraordinarily reactive to the oxygen content in air. This property of their chemical composition allows linseed oil to be particularly good for polymerization or to create various effects when drying as a liquefied compound. This property of linseed oil additionally requires that most products made from it be put in containers that are air tight, so that they will not dry out from exposure to the air and be wasted. Other types of fatty acids that are found in linseed oil include unsaturated linoleic acids, monounsaturated oleic acids with both saturated stearic and palmitic acids. Flaxseed oil has been made into breads and cereals since the early Middle Ages in Europe. It has become a main staple food in the industrial era and has become known as a kind of miracle food, this is true of both flaxseed oil and the flax seeds themselves. There certainly are a number of health benefits thought to be associated with flaxseed oil. Be sure that if you intend on eating flaxseed oil, only do so with products clearly marked as being the food grade quality. Flaxseed oil is used as a dietary supplement and is useful for appetite suppression to promote loss of weight. 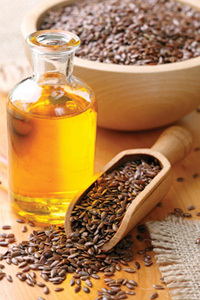 This has been the most popular of all modern uses for flaxseed oil, but is far from the only reason it is used globally. This use of flaxseed oil has to do with the purity of protein content, high lignan content or being a rich source for Omega fatty acids 3, 6 and 9. All of these reasons have given medical practitioners reason to speculate on the further uses flaxseed oil has potentially. Other oils that contain omega-3 and omega-6 fatty acids are macadamia oil, sunflower oil, safflower oil. Many doctors are convinced that flaxseed oil is beneficial for the brain, but maybe especially helpful in the treatment of depression, mood alteration and with memory disorders generally. Although currently a debate under great discussion, there is no complete research into this area of possible health benefits from use of flaxseed oil. Other common usage of flaxseed oil is for treatment of hypertension, lowering blood pressure, decreasing cardiovascular risks, influencing hormone levels, reduction of cholesterol and as a potential inhibitor for prostate cancer. Flaxseed oil is also commonly used to make certain feeds and health care products for animals worldwide. When using flaxseed oil or raw flax seeds for eating on salads, soups or other foods, keep in mind that every 3 teaspoons equals about 1 ounce of flax seeds. It is only recommended to eat 1 teaspoon or less per serving in a single mealtime. If using flaxseed oil in a capsulated form, the most commonly suggested dosage is from 1 to 3 capsules daily, but always adhering to the directions of any directions given by the patient from their personal doctor or attending medical professional. Generally there are no side effects from flaxseed oil, except when ingested in extremely large amounts. This amount of flaxseed oil would constitute the equivalent of an overdose of the oil and would have correspondingly adverse effects on the human body. Such unusually heavy amounts of flaxseed oil can cause heart complications or other physical symptoms, due to the very high calories contained in even small amounts of flaxseed oil. This can easily be avoided, by only ingesting flaxseed oil in the commonly recommended dosages. Once again, please remember that linseed oil is absolutely never for human consumption. Only flaxseed oil products can be used in this way and never in intentionally excessive amounts, but this would be generally good advice for anything that is eaten or ingested by the body. The open storage of materials or rags soaked in linseed oil and to a lesser degree flaxseed oil, these are a very risky fire hazard. This kind of situation is dangerous because rags offer a wide surface are for oxidation to occur. Linseed oil oxidizes very fast and causes an accelerated exothermic reaction, in other words increases as the temperature does. This extreme version of normal heat acceleration can allow the rags to become hot enough to create spontaneous combustion. This is much less likely to happen with flaxseed oil, but is not something to take chances with. Proper storage of these oils is absolutely important to avoid such explosive possible situations from occurring. When using products for modern industry it is amazing the number that are made from variations of linseed oil or flaxseed oil. The amount of money generated annually by elusively linseed oil based products is staggering. The profits from flaxseed oil products are equally significant, although they are for the most part very different industries that use each of the two oils. Although linseed oil and flaxseed oil are terms that get used interchangeably, they refer to very differently used oils. If it were not for linseed oil and flaxseed oil, a great many modern industries would be at a loss for many essential oil based products. Nothing is linseed oil or flaxseed oil exists anywhere or has more useful applications universally. Even as we speak, someone is probably trying to further the uses for these oils within the world of modern science. As scientific history has shown how both of these natural oils have such similar and striking individual qualities, but are each most useful for very differently reasons in contrast. So let us all say a thank you to the human ingenuity that it took to create so many products from only linseed oil and flaxseed oil. Everyone alive today owes a long awaited thank you to modern industrial science, for the magical things that come from common both linseed oil and flaxseed oil. Both linseed oil and flaxseed oil are useful, but each for diverse and different applications. There are few plant extracts that are as versatile as linseed oil and flaxseed oil are today. There are so many uses already known for linseed oil and flaxseed oil, it is probable that more will be discovered as time goes on. This is something that the world will have to wait and see, but hopefully not for too long. Copyright © 2011-2019. Linseed Oil Flaxseed Oil. All Rights Reserved.